Even tourists whose crowded schedules do not allow a trip to the tiny principality of Liechtenstein may be able to take in some of the splendors of the country on a visit to Vienna; the former imperial capital of Vienna is home to three Liechtenstein palaces. One, now often used for gala soirees and conferences has a front room large enough to house a huge carriage. For much of its centuries long history, the principality the size of Washington, D.C., has played a part, often buffeted, in European politics and conflicts. Its princes were diplomatic players in the 1800s, especially at the 1815 Congress of Vienna, but the next century was far more cruel to the small country. Though Liechtenstein has been neutral with no army since 1868, its historic and economic ties with the old Austrian empire led the World War I allies, Britain and France, to impose an economic embargo on the then largely agricultural nation. It is the only country in the world along with Uzbekistan to be landlocked by two nations (Austria and Switzerland). Its fate in the turbulent next decades was even more drastic. After Hitler’s Germany incorporated Austria in the 1938 Anschluss, the princely family made its headquarters in the capital Vaduz. On grounds that the family was German, the post-World War II governments of Czechoslovakia and Poland seized the vast Liechtenstein family estates and castles, and the princes were reduced to selling some of their massive art collection, including a Da Vinci now in Washington’s National Gallery of Art. The last thirty years have seen the country turn a corner, both as an industrial producer exporting to Germany and the United States and as a favorite place for the wealthy to park their money. But as Liechtenstein has joined more international organizations and treaties requiring financial transparency, it has transformed from what one analyst described as a “one-time tax haven” to a safe haven. The prosperous country, with one of Europe’s lowest unemployment rates, is home to 38,000 citizens and permanent residents and an equal number of daily commuters. In the past decades, Liechtenstein has slowly expanded its overseas diplomatic representation, including an embassy in Washington. 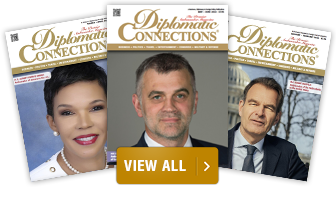 Diplomatic Connections spoke with the country’s second ambassador to the United States, Kurt Jaeger. He is a former airline executive who has previously served as Ambassador to the European Union and Belgium. Diplomatic Connections: Your country can trace its roots back to the 1600s, if not further. Why is this 300th anniversary special and being celebrated? What is its significance? Ambassador Jaeger: Well, the country obtained its name from a family, the Princely Family of Liechtenstein, whose lineage dates back to the 1100s. In 1719, exactly 300 years ago, through a legal instrument, two regions purchased by the Princely Family were unified. When that happened the country officially got its name, Liechtenstein. To this day the borders remain the same. Geographically, Liechtenstein is the same size as the District of Columbia, some 62 square miles. Prior to that, in 1699 and 1712, two territories were bought by the Liechtenstein Princely Family. The unification of these two territories in 1719 was a very important act because not only did it mean a name change, it also provided the Princely Family, and Liechtenstein, with a certain standing within the Holy Roman Empire at that time. The motivation for the acquisition of the original two territories had to do with the sovereign standing of the Princely Family within the empire, because both territories were so-called Immediate Imperial Dominions, only and directly subordinate to the Emperor himself, a status that had been conferred upon them in the Late Middle Ages. Once the two territories were purchased and united, the Princely Family of Liechtenstein had fulfilled certain requirements of territorial ownership to reach a certain rank within the empire, giving them elevated rights. One of these rights was a seat in the Imperial Diet, what today might look like a kind of senate – a powerful advisory board for the Emperor. The recommendations and wishes expressed by that body could not be disregarded by the Emperor. Therefore, with the acquisition of Liechtenstein, the Princely Family, which at the time was one of the richest families in the empire, gained access to that important political body. Diplomatic Connections: So that was 300 years ago or even earlier. How do you describe your country’s role and place in current day Europe? Ambassador Jaeger: Well, we have to live with the fact that we’re a small nation. It has its drawbacks, but I always emphasize whenever in the United States, talking to people who come from a large country, that there are also many advantages. Now in Europe, we’re not the only small country, which helps us. Liechtenstein has somewhat of a hybrid position, considering that we’re not a member of the European Union, but we are a member of the European Economic Area (EEA). The EEA is an agreement that was concluded more than 25 years ago by EFTA, the European Free Trade Association, established in 1960, which was a competing international organization with the EU at that time. Back then, it wasn’t known which organization was going to become more prominent, but the EU grew faster and EFTA got somehow left behind, so to speak. Nevertheless, EFTA helped the EU to create a larger common European market and therefore a single market of the European Economic Area was established. Presently this single market consists of all members of the EU plus Iceland, Liechtenstein and Norway. As an EEA member, we’re not part of the political union or of the trade union of the EU, but when it comes to the single market, all rules, regulations and legislation, as they relate to products and services, are the same in the EEA agreement as they are in the EU. Though Switzerland is a member of EFTA along with Iceland, Liechtenstein and Norway, they decided in a popular vote not to join the EEA. Thus, it’s only three out of the four EFTA states that joined ultimately. We have had a customs union with Switzerland since 1923, which gives Liechtenstein a unique relationship with its neighborhood in Europe. That implies that you in a way have two “masters” in economic terms. On the one hand, the customs union with Switzerland means that you must maintain certain regulations that are equivalent or identical to Swiss standards. And, on the other, there are a different set of rules for being a member of the EEA and accessing the EU’s single market. Therefore, Liechtenstein must apply what is called the principal of ‘dual market ability,’ something we had to invent to be able to join the EEA. Depending on where goods go, to the EU or Switzerland, a company has to comply with different standards. This is verified at the company level, not at the border. Liechtenstein is therefore kind of a bridge between non-EU European states and EU member states. We’re also part of Schengen and Dublin agreements, having joined them in 2011. The Schengen agreement allows for open-border access within the EU. The Dublin agreement is an EU-wide accord that governs asylum matters. Thereupon, overall Liechtenstein, a country of 38,000, has to abide by quite a few externally-determined rules and regulations and it’s important when you’re a small nation to be sort of a good pupil to demonstrate that you can live up to the expectations. The big deal for us with being in the EEA is that it’s imperative to be diligent in implementing EU legislation. Deadlines are given and must be complied with accordingly. Some states might drag their feet, because they can afford to, but when you’re small, it’s necessary to be a good example. Liechtenstein is actually very fast at implementing European legislation, sometimes we do so even ahead of the EU. That’s important for us because without that, it would be difficult to achieve full recognition as a sovereign state on par with other nations in Europe. Diplomatic Connections: You have been active in recent decades expanding your diplomatic presence? Ambassador Jaeger: At first, we were challenged more than 20-30 years ago when we joined multiple international organizations, and questions, of course, arose like: Are you actually big enough? Would membership be sustainable? Can a country like Liechtenstein really join the United Nations? Could it join the World Trade Organization? This was a challenge we sometimes faced after the Second World War, but the expansion of our international engagement really intensified towards the end of the 20th Century. In the beginning, many international organizations were not necessarily eager to have small states join them. Over time this became less of an issue. They realized that we can also be an asset for them. Demonstrating that you can live up to your obligations is critical, which is not always easy of course, but feasible. With Liechtenstein’s limits in terms of population, which also translates into a limited budget and limited capacity to stretch resources, such as maintaining a foreign policy, running statehood is an expensive thing to do and there are certain fixed costs for running a state that are similar for a small and large nation. However, the budget resources needed by a country with 100 million people are not proportionate to those of a country like Liechtenstein with its 38,000 people. Not all costs grow arithmetically with the size of country. That means our government has to be conscious of the costs, and maintain a very lean management. Our public administration is extremely lean. If you look at our foreign service, we’re talking about less than 30 people. But given these limitations I believe Liechtenstein has lived up quite well to its obligations as a member of the EEA, EFTA, the UN, the WTO and numerous other organizations. We can’t be in every place at every time and address all issues at once, but we are very resourceful in putting in our full efforts in areas we deem important to address, such as human rights, self-determination, and the international rule of law, to name just a few. Diplomatic Connections: Of course, you’re just describing some developments in pretty recent European history. A major development, you might say, in relatively modern European history, was the end of the Cold War. Your country, as much as any, seems to have benefited from the end of the Cold War. Ambassador Jaeger: Well, I’m not so sure that the Cold War was an important turning point for Liechtenstein per se. The first World War certainly was a really big turning point in our history because of the collapse of the Austrian empire. From the late 1800s until the end of World War I, Liechtenstein had a customs union with Austria, a huge empire then, consisting of more than 50 million people. Later, in 1923, we formed a customs union with Switzerland, which is still in place today, and we continue to benefit from this relationship with our Swiss friends. In 1886, Liechtenstein abolished its army and ever since has been neutral. The post-WWII European and global environment definitely impacted Liechtenstein along with its European neighbors. During the Cold War, we benefitted certainly from the umbrella -- the safety, security umbrella -- which NATO and the allies provided in Europe. We would not have been able to defend ourselves in an attack from the Soviet Union in those days. Throughout the Cold War and to this day we actually have no defense agreements with our neighbors in the event of war. We therefore place a great deal of emphasis on the international rule of law and on maintaining very good relations with our neighbors in the region in order to maintain our sovereignty. When looking back at the collapse of the Soviet Union, it didn’t have that much of a bearing on us directly. Though it opened up a whole new opportunity for the European model of democracy and political economy to grow. In joining the EEA, this meant that we could have excellent trade relationships with new member states from Central Europe. However, the largest partners of Liechtenstein’s economy remain in Western Europe, such as Germany, Austria and Switzerland. The U.S. is our second largest bilateral trading partner after Germany. We have eight companies operating in the U.S., which employ a little over 4000 people; for a country of 38,000, I believe this is quite impressive. Diplomatic Connections: But, it’s been in recent years that you have expanded diplomatic relations. You now have eight embassies. Why did you decide, for example, that you need diplomatic relations with the United States, which commenced in 2002? Ambassador Jaeger: Well, if you look to history, our first embassy, of course, was in Bern. At that time, Switzerland was our most important trading partner, so it made a lot of sense to have an embassy there, and still does of course. But then, if you look at the map of countries where we opened embassies thereafter, it was normally due to having joined international organizations and needing a physical presence and permanent representation in their locations; that’s part of your duties as a member. It’s the Council of Europe in Strasbourg, the WTO and EFTA in Geneva, the European Economic Area and the EU in Brussels, the United Nations in New York. In Vienna, we have not only a bilateral embassy but also a representation as a member of the OSCE and other UN organizations that are located there. The only country in Europe where we actually have an embassy without being a member of an international organization is Germany. We opened an embassy in Berlin for obvious reasons, because Germany has 80 million German-speaking people and is by far our biggest trading partner. And, in terms of reaching the entire world, from a media point of view, Germany is a very important place because - whatever happens in Liechtenstein, the country that will be among the first to report on it is going to be Germany due to our common language. Thus, you need to be able to reach out effectively to the media world, to the international community and continue to keep the public informed about the facts on your country. In this same vein, it also makes sense to have an embassy in Washington, D.C. - the United States is our second-largest trading partner. It’s a huge nation in every respect: politically and economically. Since opening our embassy in Washington in 2002, I’d say that the relationship has been substantially strengthened and deepened, which would not have been possible without a diplomatic presence here. Over time we have developed many partnerships in various fields such as humanitarian cooperation, the fight against terrorist financing, money laundering and tax evasion. We are also working with the U.S. and international partners to develop public-private oversight mechanisms to fight and disable the financing of modern slavery and human trafficking. Bilaterally we are always looking for ways to increase commerce with the U.S. Our companies which operate throughout the United States are key contributors to the supply chain of goods and services here. Liechtenstein exports over half a billion dollars’ worth of goods to the U.S. and has foreign direct investment of nearly 850 million in this country. For a country of less than 40,000 we are quite proud of this. Diplomatic Connections: Would you like the United States to create an embassy in Vaduz? Ambassador Jaeger: We have a U.S. ambassador, Ed McMullen, who is accredited to Liechtenstein, but he is residing in Bern. That’s a tradition not only for the United States, that the ambassador accredited to Switzerland also serves as the ambassador to Liechtenstein. Ambassadors accredited to Liechtenstein don’t live there. All are either in Bern or even in Geneva and simultaneously serve Liechtenstein. Concerning proximity, Bern is only an hour and a half drive away from our capital; therefore, we understand that having a full-time ambassador residing in Liechtenstein would probably not be commensurate for a foreign country in terms of resources needed. Diplomatic Connections: Now, as you mentioned earlier, joining these different organizations, particularly European ones, has required adaptations and changes in various policies and you have almost a quarter of your economy devoted to finance and a lot of wealthy people live in your country. But some would refer to it as a safe haven, but no longer a tax haven. What does that mean and how does your government deal with the issues of tax avoidance and money laundering? Ambassador Jaeger: Well first I would like to mention that you are right that financial services sector makes a significant contribution to our economy, about a quarter of our economic output. However, the largest contributor to our economy is manufacturing at 43 percent. We produce a number of products that are major components in the European and global supply chain of goods in areas such as construction, automotive, dentistry, agriculture, audio-visual and coating. Our economy is therefore quite diversified. As for your reference to Liechtenstein as a “safe haven,” it’s not a term we use. I interpret it as providing a safe and stable environment for investments. In terms of safety, it is not necessarily the level of taxation that is the attraction for investment. In the long run, you are not going to fare very well with the reliance on favorable tax rates anyway, but when you look at investors or even companies who really want to do business in and with Liechtenstein, for them what counts is the predictability, stability and legal certainty that we can offer. In addition, having the Swiss franc as our official currency is an important aspect for our financial sector given its stability. Furthermore, our unique position in Europe, having access to the EU’s single market as well as access to the Swiss market, is quite attractive for investors. Our economic stability and potential for growth is also recognized in our triple-A ranking by Standards and Poor. We have no public debt which makes us less vulnerable in economic crises. This allows us to afford competitive tax rates. And possessing a lean public administration means less bureaucracy and red tape. There is a great ease of doing business in Liechtenstein, which is very important. Diplomatic Connections: You are showing interest in new financial instruments, such as Bitcoin. Are there any worries about this? Ambassador Jaeger: As people read a lot about this blockchain technology and Bitcoin in particular, it seems to be making everyone a bit nervous. I can see why some would feel uncertain. People don’t feel comfortable if they don’t understand something, and there are of course risks associated with this new area. Every financial center is confronted with movements and trends that bring new kinds of technology to the market. In 2018 Liechtenstein introduced legislation to regulate the whole area of blockchain technology, not only Bitcoin and other new Fintech financial instruments. Blockchain is not only about Bitcoin. It can be applied across numerous platforms and business models, and our belief is that it is too dangerous not to regulate such a vast new area of human activity. As Liechtenstein aims to become an attractive market for blockchain it is quite aware of the potential for reputational damage associated with the use of these new technologies. And when you’re a small country, believe me, reputational damage can be quite severe. If you’re a big nation and something happens somewhere, it’s maybe one or two weeks in the media and then it’s forgotten. This is not so when it happens in a small country. So, to be preemptive and precautionary, the idea is to create a legal framework to offset the risks associated with all forms of blockchain usages, to make sure that market participants all know the rules and know their customer and that there are proper protections in place for both the consumer and markets, incorporating oversight in areas such as preventing money laundering. Blockchain technology is, for us, not so much of importance in the financial sector, but rather in the technology area, for instance in the manufacturing industry. If you look at the possibilities for protecting intellectual property and patents, transferring sensitive information from one place to another - blockchain technology is a very efficient and safe means to do that, which is where we believe the future is going to be. Banking or financial transactions will of course always be a part of it as well and the financial sector is already quite advanced in using that technology, but the real growth in the future, I believe, is going to be in other areas, such as supply chain management and production data collection. So, establishing a consolidated rulebook for blockchain is an area the government is actively pursuing. We want to be a secure place to invest and minimize uncertainty for investors in new business models as much as possible. Diplomatic Connections: You anticipated my next question. But the EU in general is in a rough patch and may get rougher. Even Germany is slowing down, who knows what’s going to happen in Italy, how does a country like yours, a government like yours, facing this economic scenario, react. What do they do? Ambassador Jaeger: There is not much we can do, honestly. People say, “You’re lucky you’re not in the Eurozone,” for example. Our response is always, “Well, we don’t take or derive any pleasure from that because the EU and the Eurozone are our biggest trading partners.” When the EU has a problem, believe me, it affects us. The best illustration was, after the 2008 financial crisis, the Euro came under great pressure. The exchange rate with the Euro really dropped dramatically, but the Swiss Franc went the other way. It was a 25% increase of the value of the Franc within, I believe, 18 months or so, which is massive. Hence, when you have, say 99% of what you produce being exported, which is the case for Liechtenstein, that exchange rate is quite relevant. That comes to an increase in your costs of 25%, so how are you going to compete with such a penalty? In the end, the only way you can compensate for such an increase in your cost basis is that you make savings elsewhere; consequently, you have to become more efficient, productive. It was really quite dramatic for some companies, but they have overcome the problem. Our trade sank significantly in the aftermath of the financial crisis in Europe, but we’re back to basically where we were before, and continuing to grow, so we can’t complain. Diplomatic Connections: The other big political issue in Europe is immigration and probably surprising to a lot of people, you have a Muslim population that is now more than 5% and most of them weren’t born there. How is your country dealing with this whole question of integration? Ambassador Jaeger: I want to preface this question with “I’m not an expert on immigration.” We have a very large share of foreigners in our population, more than 53% and we also take on refugees within the European asylum system. There are a few things that I think have had a specific impact on the flow of immigrants to Liechtenstein. First, we’re a very rural place without any metropolitan infrastructure. Therefore, people know each other quite well; there’s little anonymity like in large cities. The industry in Liechtenstein is very high-tech, so you need rather high professional qualifications to get a job there. This has meant that we haven’t attracted certain migratory movements as others have. If you look at where many refugees have recently gone, it’s mostly to urban areas. Either because there are people of their own culture or nationality already living there and they want to join that community, or because in large cities it’s easier for them to get a job than somewhere in a rural place. Even though we are centrally located in Western Europe and accommodate refugees generously, the influx of refugees has been relatively controlled. We are one of a few countries that allow refugees from day one to work. We have an unemployment rate of about 1.8%. Facilitating an early integration of refugees into the labor market has not been an issue for us. The last big rise in the Muslim population in Liechtenstein was primarily a consequence of the Balkan Wars. We took in quite a lot of refugees, and actually more than we are now receiving as a result of the civil war in Syria. However, we’re often asked, “Why didn’t you get these huge migratory movements that went through Austria and Hungary into Germany?” Some migrants just pass through, and try to reach other locations where they believe they have better prospects. It would also be quite difficult for us to absorb a great number of people with our small population and territory. Although, as a member of the Dublin Agreement in the EU, Liechtenstein does participate in the EU’s system of allocation and relocation of asylum seekers. We provide not only housing and food, and education for children but also job and language training. Diplomatic Connections: I was astonished looking over the history of your country. You've been a non military neutral nation that doesn’t get into wars, but you really suffered economically after the First War because you got labeled or sanctioned by the Western allies and things really got bad after the Second War in which you were not a participant. Looking at this history, you have a real stake in a peaceful Europe. Ambassador Jaeger: Oh yes, I mean everybody has a stake in a peaceful Europe. Who would benefit from a non-peaceful Europe? Liechtenstein after the First World War was probably one of the poorest countries in Europe. It was largely an agrarian society. The population after the Second World War was about 10,000 people. There are four times more people today. You look at our income now, completely different. Liechtenstein’s industrialization began in the 19th century with a small textile industry. It was interesting because we were part of the Austrian empire’s market at the time and Swiss companies started building factories in our country because producing in Liechtenstein was a way for them to gain access to the huge consumer base in the Austrian empire. We now have companies coming to Liechtenstein because they want to access the EU market. The real industrialization in Liechtenstein happened after the Second World War. This was due to very specific actions taken by the government that induced that industrialization. Sophisticated corporate legislation was introduced, for instance, much of which mimicked many of the efficient and low administrative burden regulations and practices established in Switzerland, making it very easy to invest and do business in Liechtenstein. A favorable corporate tax regime followed, and the strong Swiss Franc as legal tender helped build a strong financial sector. In addition, at the time Liechtenstein did not have any major institutions of higher learning of its own. So much of our population obtained degrees from universities in our neighboring countries. When they returned to Liechtenstein, they brought with them great qualifications, which was key to our economic growth and innovation. In addition, we adopted a very strong vocational training system, apprenticeships, very similar to other German-speaking countries, which provided and continues to add a steady stream of skilled workers to our industries. 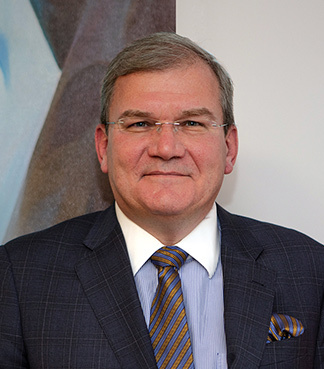 Diplomatic Connections: Ambassador Kurt Jaeger, principality of Liechtenstein, on behalf of Diplomatic Connections, thank you very much for joining us. Ambassador Jaeger: Thank you so much.